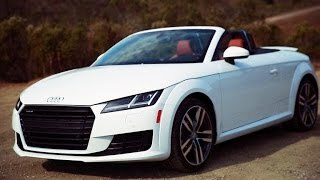 At the 2014 Los Angeles Auto Show Audi unveiled its feature loaded Audi TT Roadster 2016. The model comes equipped with few features that will make you fall in love with this day-to-day usable roadster from Audi. Let us have a look at each of them and get to know about Audi’s perception and planning to overtake the roadster market. The first thing to make interior of Audi TT Roadster 2016 a benchmark is its virtual cockpit. Interior gets a fully digital instrument cluster replacing gauges from the entire arena, powered by the first ever automotive NVIDIA Tegra 30 processor, giving driver a customizable driving experience. The virtual cockpit with it amalgamates functions of central Multimedia interface monitor portraying beyond expectation 3D graphics TFT display in a 12.3 inch screen. The highly efficient graphics processor can present 60 frames per second, ensuring driver accurate information with even slightest movement in any of the needles. Apart from these more features like, Facebook, read aloud news headlines, twitter etc gets in queue through the advanced version of Audi Connect, powered by 4G LTE with an integrated Wi-Fi hotspot. With an attempt of not making these features a point of distraction for the driver, all controls have been mounted upon a multi-function steering wheel. 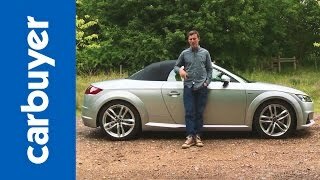 In short the entire interior of Audi TT Roadster very well takes care of driver and passenger requirements. 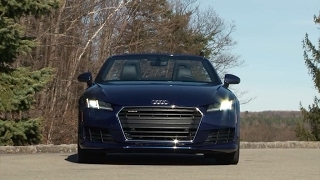 Exterior of Audi TT Roadster holds every quality to steal your attention. Let us begin with the front fascia of TT Roadster 2016, the sporty LED headlamps amidst portray a singleframe grille. The muscular stance of front fascia has been given through aluminum castings. Front bumper in it holds air vents to provide some fresh air to the brakes. Heading towards rear fascia of Audi TT Roadster 2016 round exhaust pipes and rear spoiler add very well to the sporty and aggressive model. 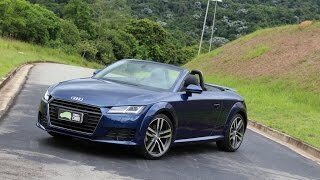 Audi TT Roadster 2016 gets its power through a 2.0 Liter TFSI Engine delivering 220 hp and 350 nm torque paired to six-speed dual clutch S tronic transmission. It comes with Quattro all wheel drive system and thus the unique togetherness of S tronic and Quattro assures a smooth and dynamic driving experience.